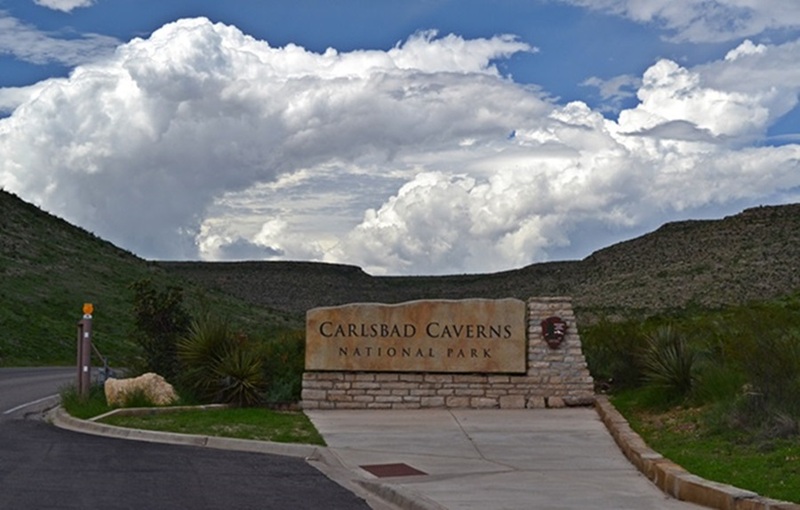 This time we’re visiting two of New Mexico’s iconic landmarks and attractions, Carlsbad Caverns National Park and White Sands National Monument. 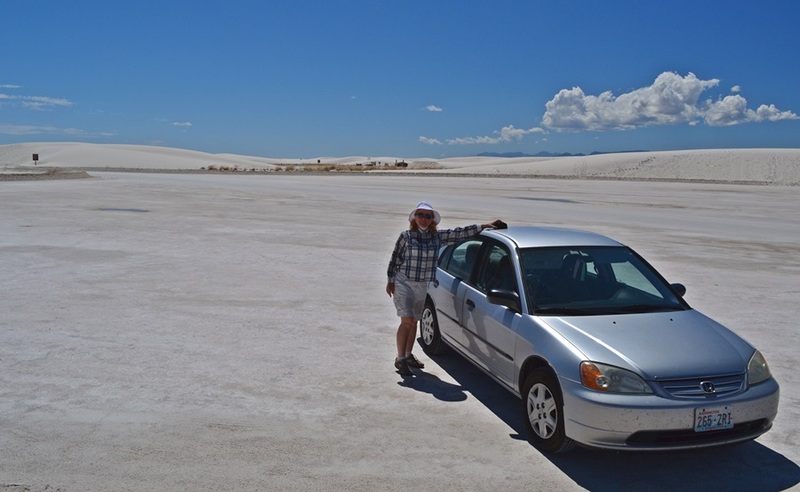 One thing you quickly discover while driving around New Mexico are the vast distances involved traveling from one point of interest to the next. Case in point was this day of our Southwest trip. 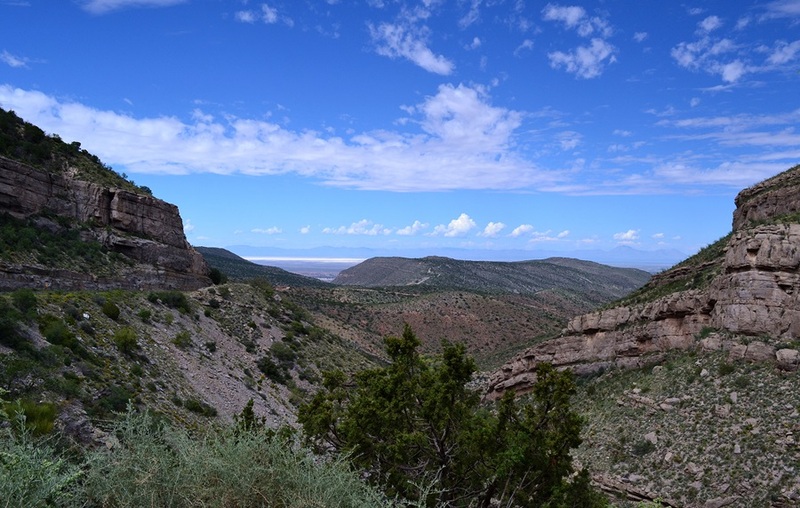 We left Santa Fe in the north-central portion of the state early in the morning, heading south toward Carlsbad Caverns in New Mexico’s extreme southeast quadrant. 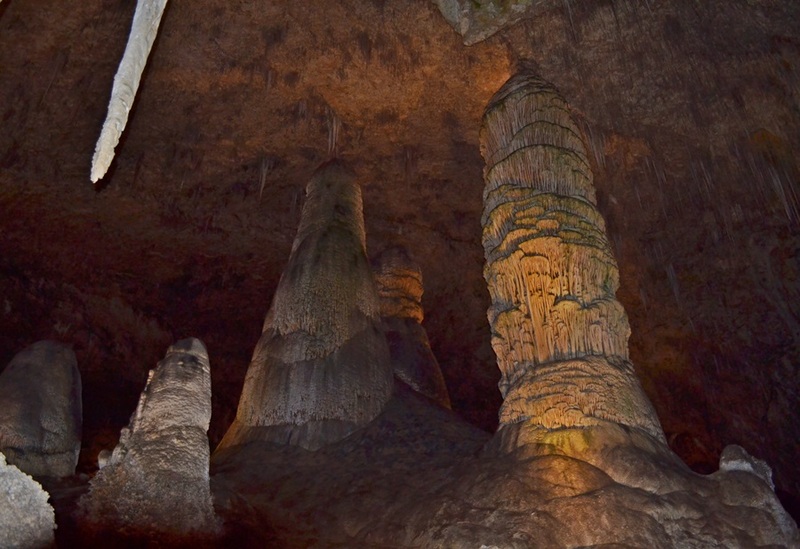 In fact the Caverns are located mere miles from the Texas border. Whenever we roam into new territory, I always have at least a vague, pre-formed mental opinion and image of what I’m about to encounter. Sometimes the reality comes close to what I envision or even exceeds expectations. Sometimes the drive itself is the best part of the day. In this particular case…not so much. Driving from Santa Fe to Carlsbad on Highway 285 is a good day to stomp on the gas and just move along, baby, ’cause that part of the state is chock full of a whole lotta nothin’. And believe me, we’ve been through plenty of other areas of the American West where there are also huge, empty swaths of land but I don’t know that I’ve ever encountered one so devoid of anything of interest in terms of landscape or scenery or culture or people. I’m not quite sure what I was expecting to find there. New Mexico, Land of Enchantment, right? Not so enchanting for us. Just vast miles of dry, scrubby, flat nothingness. Not a cow or a tree or a farm or a river or even a roadrunner and coyote to relieve the monotony. So, no, not my favorite area of the state. About the only place of interest to some people on this itinerary would be a stopoff in Roswell, the town which is ground zero for UFO fanatics from around the globe. I am not one of them, and since Irina has even less interest in UFO’s than I do, we passed on through and in another 90 minutes or so we were closing in on Carlsbad. 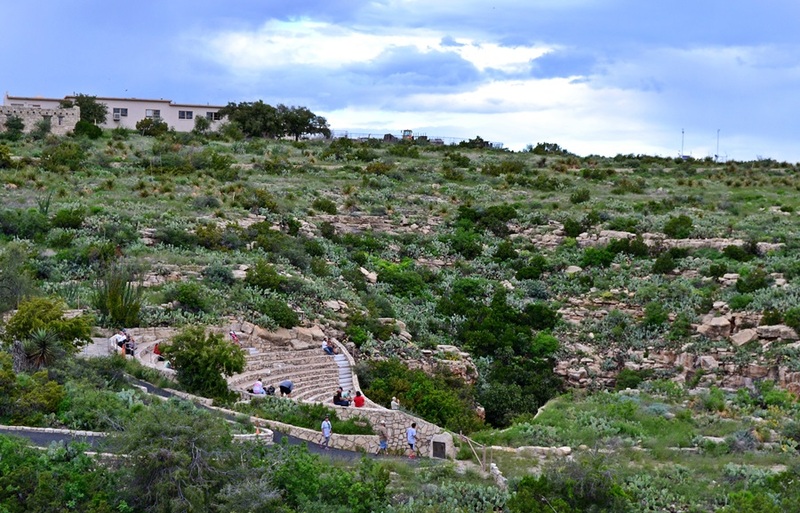 The National Park itself is located in rolling, treeless, rocky hills about 30 miles south of the town of Carlsbad. You pass the official entrance and drive a few winding miles while slowly gaining altitude. 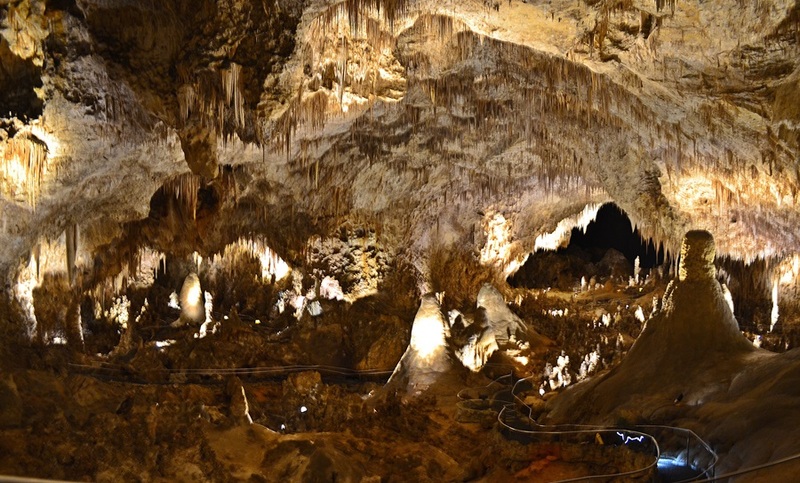 There are no gaping holes in the ground or the hills or any visible clues to indicate the Cavern’s existence right beneath your feet. 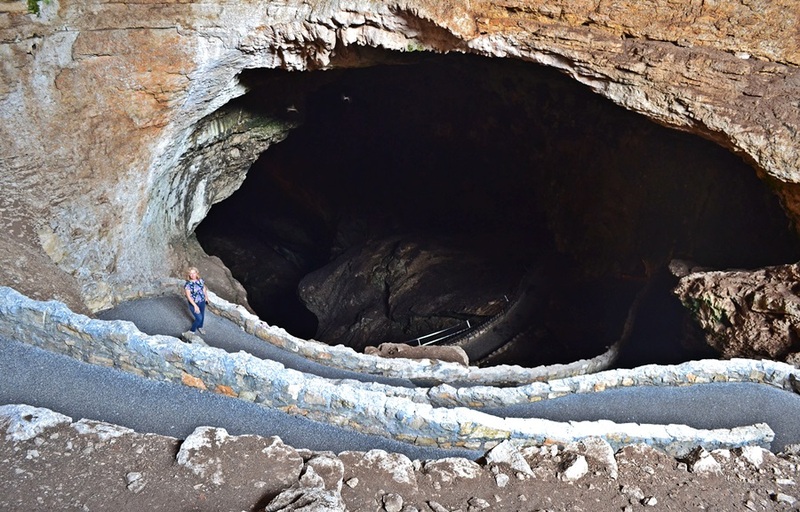 In fact, you would never guess that far below the ground beneath your tires is one of the largest and most spectacular cave complexes in the world. And now comes the twist in the tale. 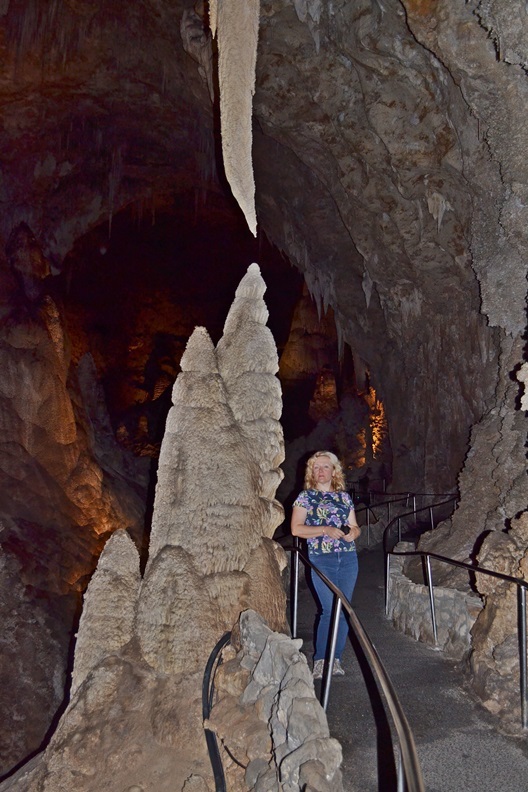 Upon entering the visitors center, we soon learned that through sheer dumb luck (and not of the good variety) we had managed to stumble into the park on one of the two (2) days of THE ENTIRE YEAR when the elevator to the Big Room and main cave complex was closed down for yearly inspection and maintenance. Today was day one. Tomorrow would be day two, so even if we put it off and came back next day it would make no difference. After a momentary freakout, we talked with a ranger and understood that we still had plenty of time to walk down, amble through the Big Room (it’s about a 1.5 mile circuit) and see it all. The only downside was having to hoof it back uphill all the way out. Apparently, the standard tour for most folks is to walk down and around the sights, then hop the elevator and zoom back to the surface in a minute rather than the hour or more it would take to hike back. For us, no problemo. We’re in good shape and love to hike and after sitting in the car most of the day, it sounded not only doable, but attractive to walk it both ways. We started down the switchbacks located near the bat-flight amphitheater (more on that later) and descended rapidly into the dark, constantly cool, moist environment of the caves. They recommend wearing a sweater or light jacket, but as we were maintaining a quick pace and I was wearing a backpack, I opted not to wear anything atop my t-shirt. Big mistake. 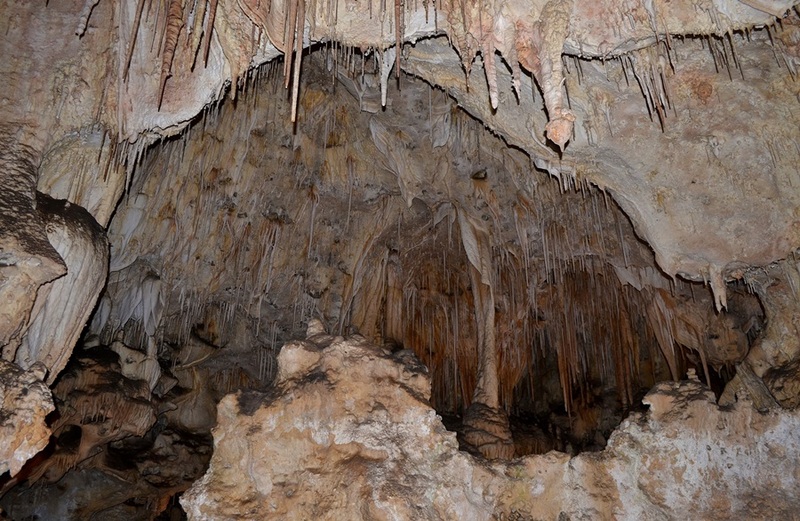 We made our way down into the depths, stopping along the way to ogle the otherworldly sights like everyone else. It really was like something from an alien planet with the bizarre shapes and formations and colors everywhere. Most of it is very well lit and tastefully so, by which I mean the lighting is neutral and not done with garish, colored lights which would ruin the natural effect. The walking path is paved and easily navigated and not at all claustrophobic – this coming from someone who’s not real comfortable with confined spaces. There’s a reason it’s called the Big Room: it really is spacious and you could nearly forget you’re hundreds of feet beneath the earth in a giant hole in the ground. When you come to the halfway point of the Big Room there is a shortcut across that allows you to bypass the second half of the trail. Here we encountered a ranger who informed us we had to take the shortcut and that the second half of the trail leading around the rest of the Big Room was now closed for the day due to lack of time. Seems they shut the caves down at five o’clock and all visitors must be out by then, and as the elevator was not working they were being extremely conservative in their estimates of how long it would take to climb all the way back up. It was only about three o’clock and I assured the ranger we could easily make it around and out by five. I tried everything short of outright bribery, but none of my desperate pleas worked. Massively disappointed and kinda pissed off that we were forced to miss half the trail, we began the trek back. My only revenge was that if they insisted on making us miss part of the trail, then I was going to take every last minute down there and go as slow as I possibly could. A little childish, maybe, but we’d come a long way and I knew chances of us ever returning were slim to none. 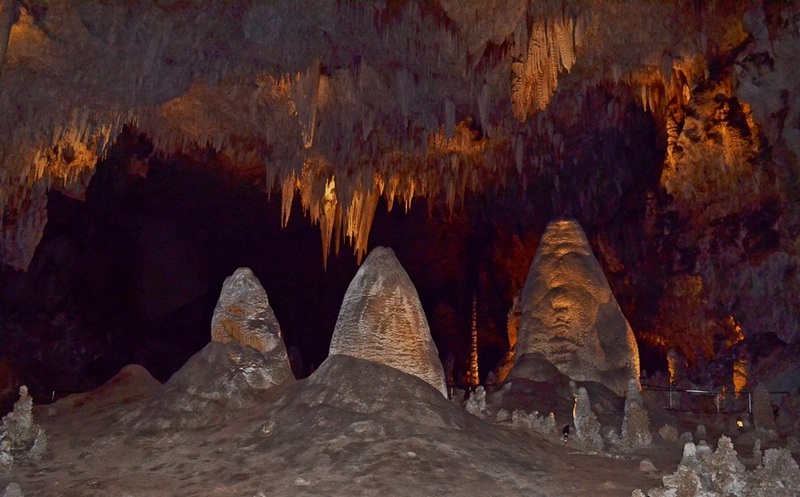 The upshot of all this was…Carlsbad Caverns made me sick. Literally. By the time we dragged ourselves back to the cave entrance – and it is a long uphill slog – I was sweating profusely. We stepped outside into a cool, breezy late afternoon with storm clouds rolling around the horizon. We had a picnic in the parking lot and waited for dusk and the bat flight out of the caves (every evening hundreds of thousands of Mexican bats come streaming out in bunches) which is very cool and worth hanging around for if you’ve come all that way. For me, though, the combination of several hours below ground breathing damp air, exertion, sweat, and sitting around outside for two hours in cool, windy conditions, all added up to waking up next morning with a cough and cold which a couple days later morphed into bronchitis. Not the ideal way to enjoy the second half of a road trip. 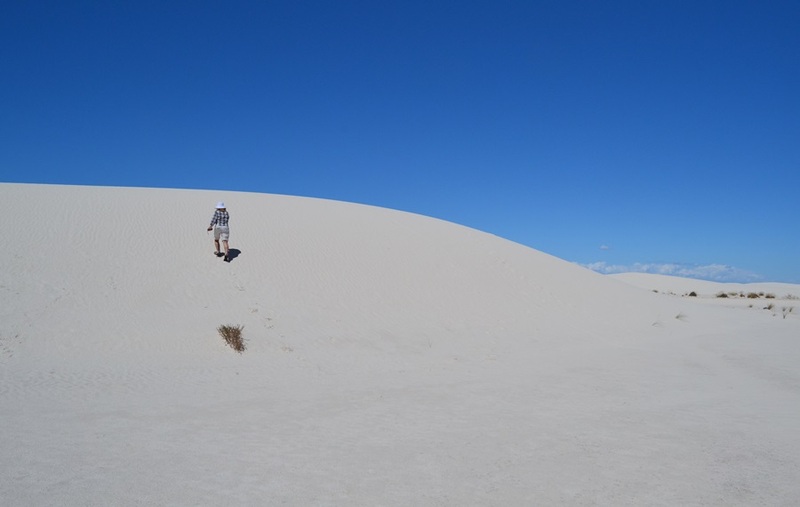 Speaking of the next day, we left Carlsbad by mid-morning heading north and then east towards White Sands National Monument. The best part of this was our drive through the Sacramento Mountains on Highway 82. Beautiful small villages and abundant mountain scenery were the perfect antidote to the previous day’s extreme lack of scenic diversion. 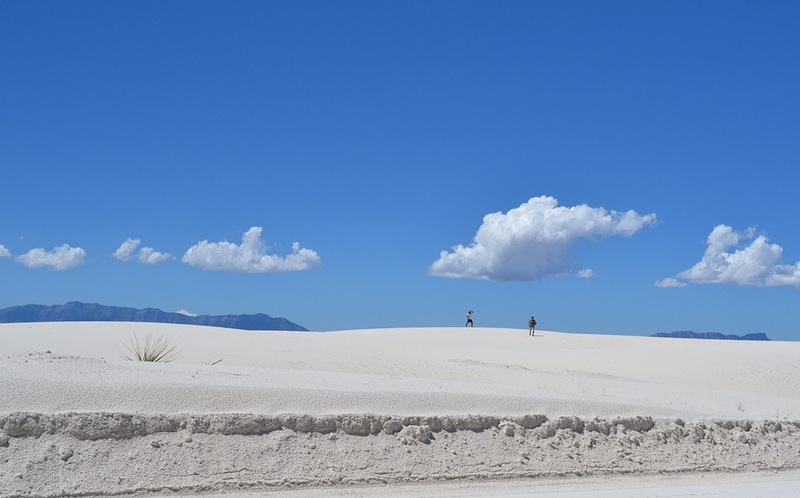 White Sands National Monument is located near the town of Alamogordo in the flatlands between the Sacramento Mountains to the east and the San Andres Mountains to the west. 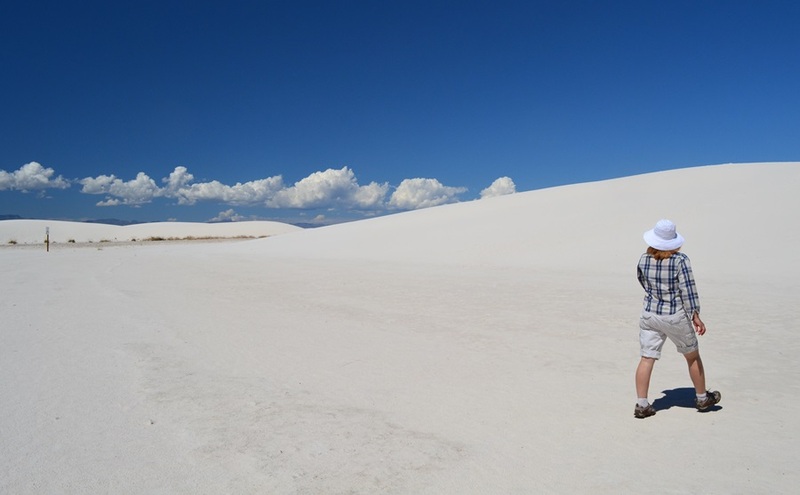 White Sands is actually a misnomer as the dunes are in fact made of gypsum and not sand. 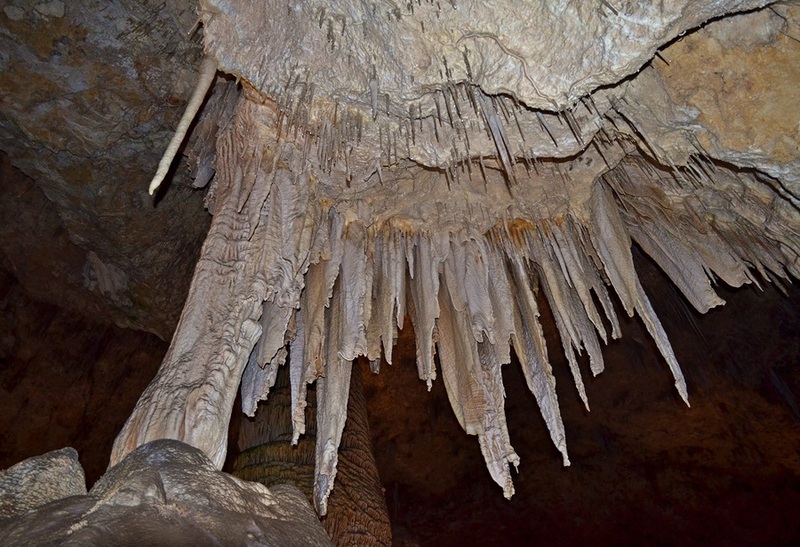 The gypsum comes from an inland sea which dried up millions of years ago. 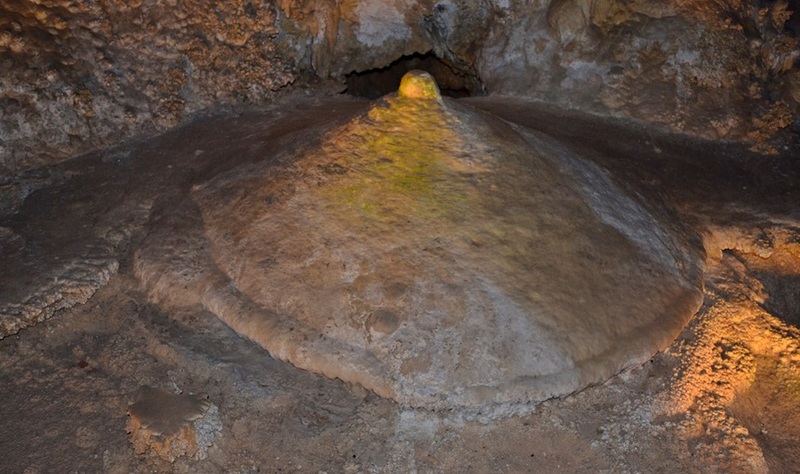 The gypsum then rose up with the San Andres Mountains and was subsequently redeposited in the valley below through eons of glacial movement and melting. Today the process continues via rain and wind. 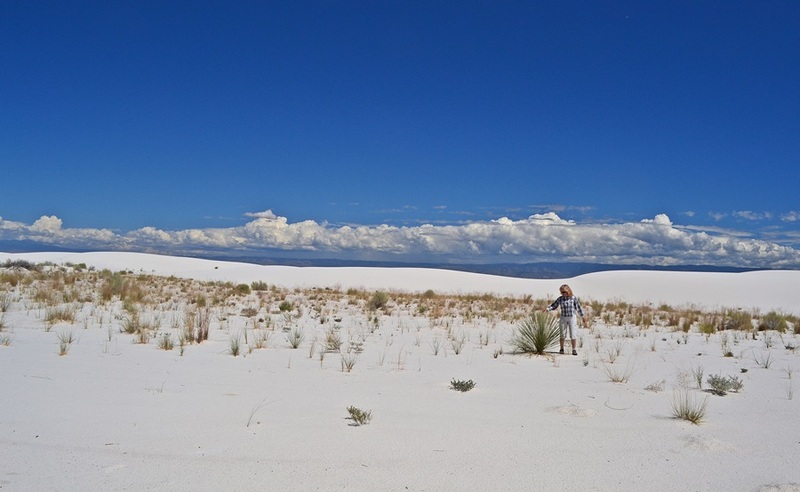 White Sands is, like Carlsbad, another one-of-a-kind experience. 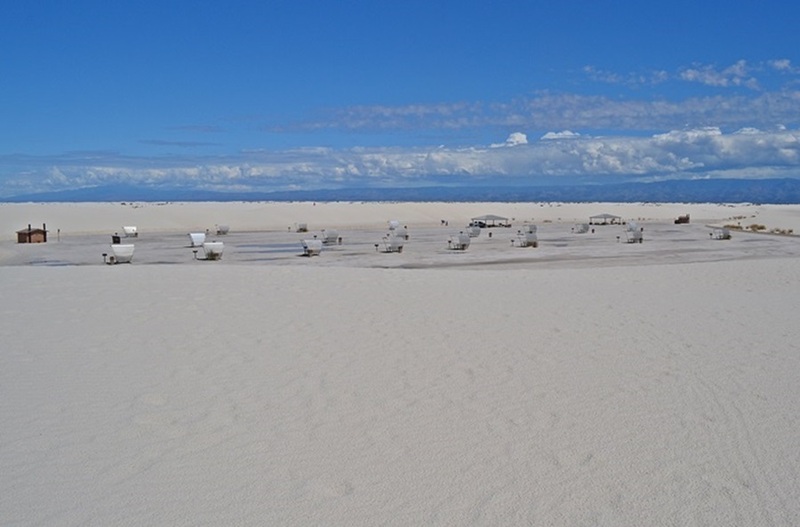 When you drive out into the dunes and are soon surrounded as far as you can see by waves of blinding white gypsum, you really could think you’re on some alien world. Be sure to pack your sunscreen and sunglasses, especially if the sun is shining, which it usually is in this part of the world. Even with dark glasses it is brighter than anything I’ve ever encountered, including snow. We spent about an hour traipsing around and over and through the dunes and would have stayed longer if not for the blast-furnace heat levels. 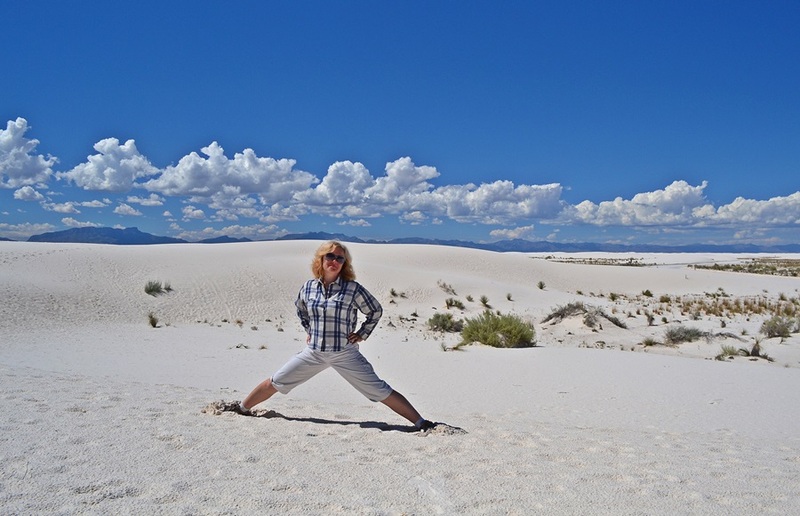 The air temperature was only upper 80’s to about 90 degrees, but in the glare of the dunes it felt much hotter and I was beginning to suffer the repercussions of the illness I’d contracted the previous day in Carlsbad. We retreated to the shade and air-conditioned bliss of the visitors center, watched a video or two and decided to move on. 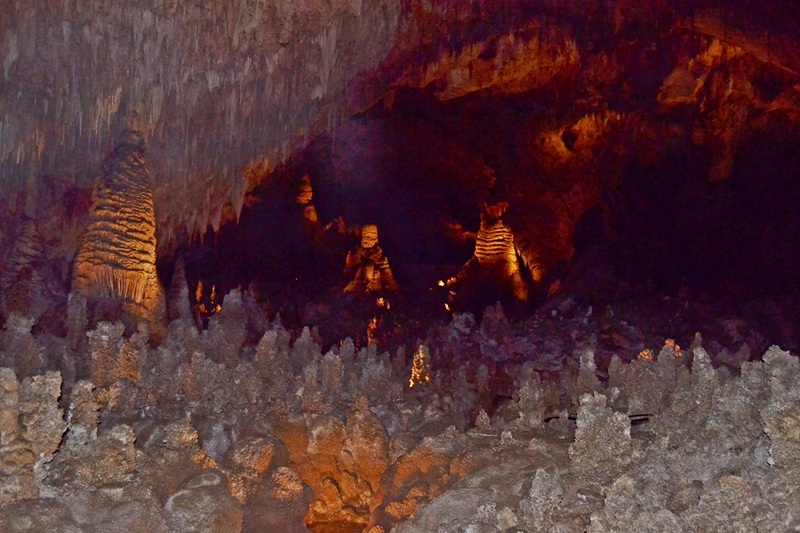 In the end, I’d recommend not missing either of these unique sights on your New Mexico trip. 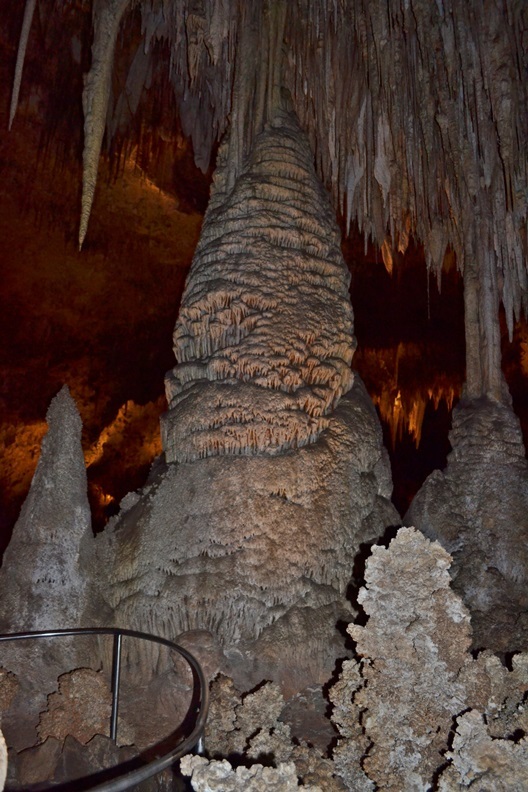 Just be sure to listen to your mother (or your wife) and wear a jacket when you’re in the caves.